Explore the city and the surrounding area via a number of different highways and other roads. You will be able to drive multiple vehicles, including a Jeep, bus, and eventually a racecar. Adjacent areas are ideal for test driving the car. 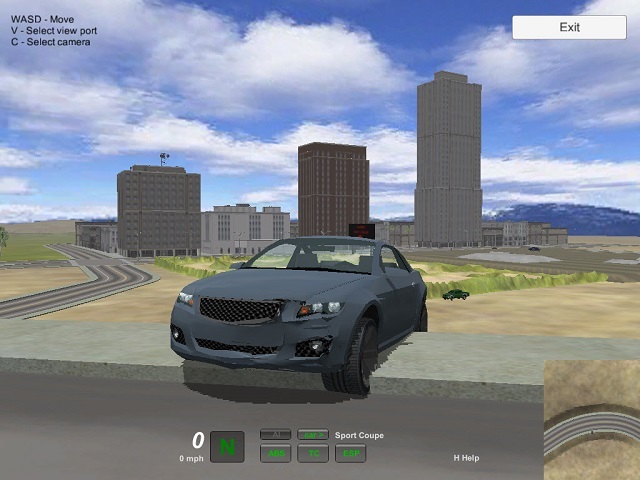 For each car there will be an area where you can experience its unique features in action, such as off-road for Jeeps and highways, where you can enjoy the full speed and driving characteristics of the racecar. Drive your truck across a realistic depiction of Europe, visit its beautiful cities, pick up a variety of cargos, and deliver them on time! Test your memory and sequecing logic in this challenging game. 3d truck racing game. The main purpose of trucks is the transportation of heavy loads. But it is very interesting to try them out on the sports track. These trucks are equipped with powerful engines, tuned, body and cabin rigidity is increased.